Durmitor National Park in northern Montenegro is an awe-inspiring, undiscovered expanse of glacial lakes, craggy mountains and incredible scenery. 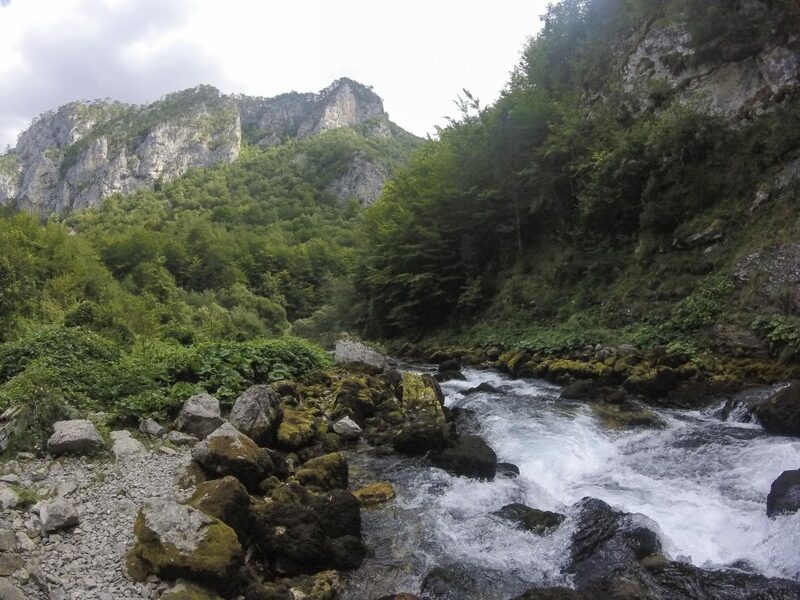 The Tara River zigzags its way through the park, creating one of the deepest canyons in the world – a feature which helped give Durmitor UNESCO World Heritage status in 1980. The small town of Žabljak is the ideal base for discovering the national park. At 1,450m (4,757 ft.) above sea level, Žabljak is the highest town in the Balkans and although it is best-known as a winter sports resort, in the summer months it is the perfect place to walk, swim and explore the wilderness of northern Montenegro. The only way to reach Žabljak is by road. 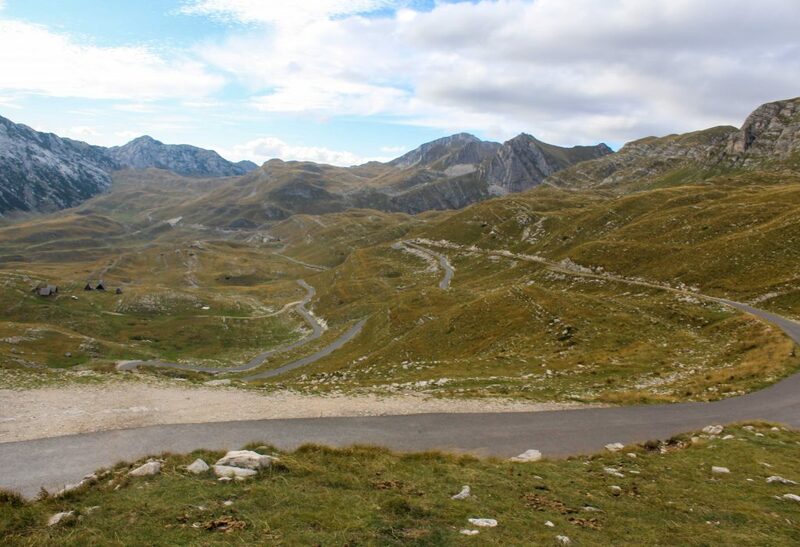 If you’re coming from Bosnia and Herzegovina, the P14 via the Seldo Pass is slow-going but offers panoramic views across the Durmitor plateau. Watch out for sharp bends, steep drops and the occasional flock of sheep in the road. Driving from the Adriatic, it’s an easy three-hour drive on the E762 and P4 from Podgorica, via Nikšić. Žabljak is also served by regular but leisurely buses – for the latest timetables, visit this site. 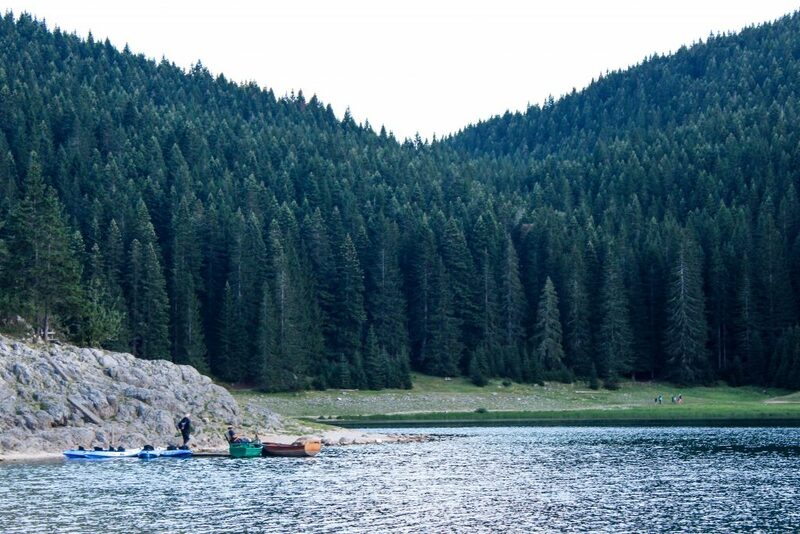 Durmitor National Park is the perfect place to take up a huge variety of outdoor pursuits, from white-water rafting along the Tara River Canyon, to zip lining, climbing and mountain biking. For the slightly more reserved adventurer, there are plenty of hiking trails and glacial lakes to explore. 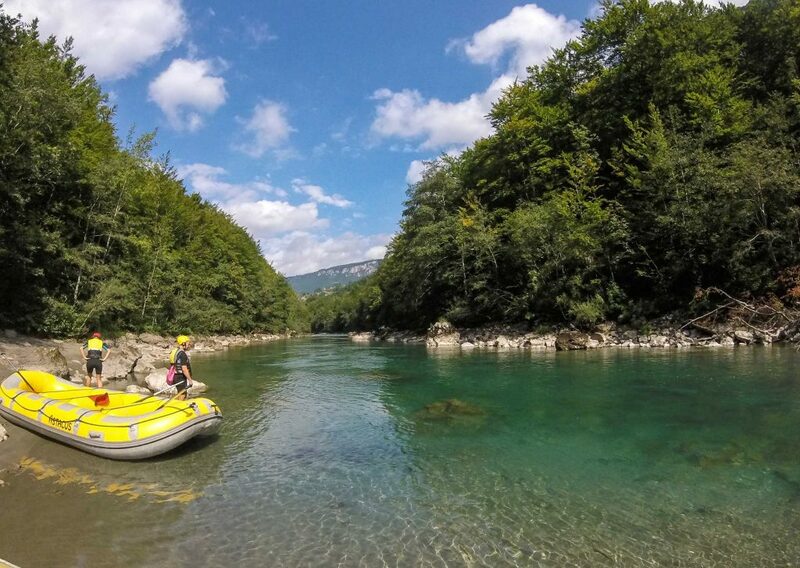 Tara Kula Raft – easy to access from Žabljak, and you’ll raft through the most spectacular section of the Tara River Canyon. Tara Grab Rafting – highly recommended by everyone who visits Tara Grab, but the distance from Žabljak means an early start. At the same point that the road crosses the canyon on the spectacular Đurđevića Tara bridge, you can opt to do so by wire at the Red Rock Zipline. You’ll reach speeds of up to 50km/h (31 mi./h) along the 350m cable (383 yards), which carries you 170m (558 ft.) above the Tara River. As with rafting, your hotel or accommodation should be able to arrange a trip. There are 18 glacial lakes in the Durmitor National Park, many of which are ideal for swimming. The largest is Crno Jezero (Black Lake), a picturesque lake surrounded by lofty pine trees, just a 40-minute walk from the centre of Žabljak. Alongside the lake is a small café in which you can change, dry off and get a bite to eat. As the lake is so deep, the water can be pretty cold; the temperature’s best towards the end of August when it retains warmth from the hotter summer months. A slightly shallower (and warmer) lake is Vrazje Jezero (Devil’s Lake), just 10km (6 mi.) outside Žabljak, and set away from the main road. With a sandy beach area at the edge, this is a great place to swim and relax; if you’re lucky, you’ll have the whole lake to yourself. There are a huge number of well-marked walking trails criss-crossing the 339km² (131 mi²) Durmitor National Park. Pick up the latest detailed local map when you arrive in Žabljak to see which trails are best at the time you’re visiting. If you’re (un)lucky, you may bump into the brown bears, grey wolves, and European wildcats that roam the park. For more intrepid hikers, there are also a number of peaks worth climbing in the Durmitor Mountains – after which the park is named. Bobotov Kuk – the highest peak in Durmitor National Park, this trail is a 10-hour round trip from Žabljak, and is recommended for experienced climbers only. 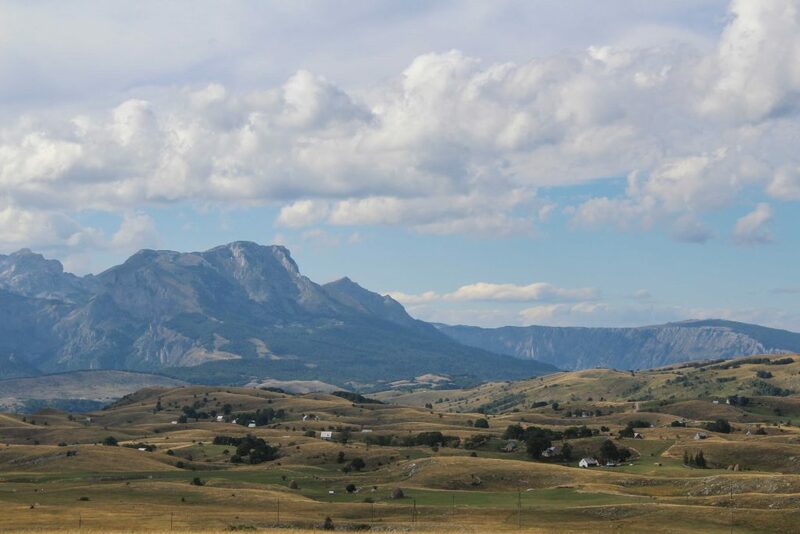 Planinic – the view from the top is one of the best views across Durmitor National Park. From Žabljak, it’s about eight hours as a round trip. 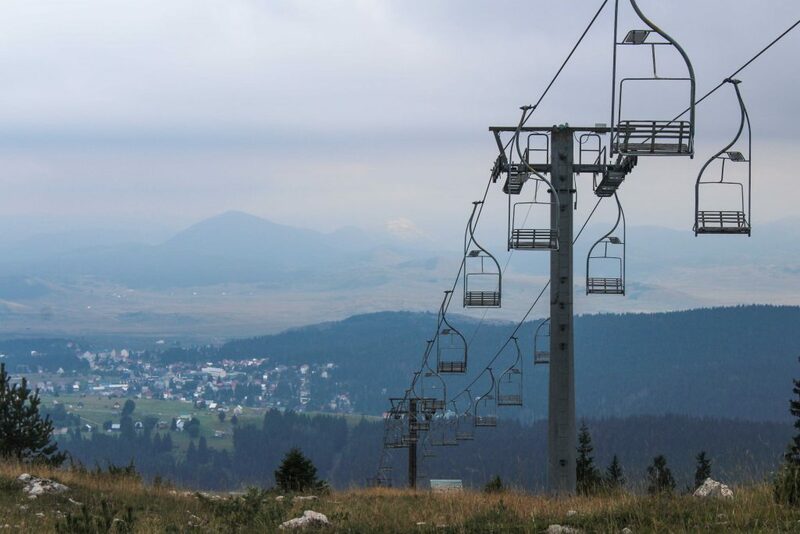 Savin Kuk – this is the Durmitor’s main ski resort in the winter; it’s about a six-hour round trip from Žabljak to the peak. Or if it’s open, you can cheat and get a ski-lift up to the top. Before you set off to climb any peaks, make sure you consult this book, the authority on Durmitor hiking: The Mountains of Montenegro: A Walker’s and Trekker’s Guide by Rudolf Abraham. You don’t go to Durmitor National Park for the shops, although there are places to pick up food supplies, as well as a pharmacy and a post office. There’s also an outdoor clothing shop, in case you left something vital at home. For those on a budget, there are also plenty of B&Bs, which have the advantage of an owner who can provide helpful tips on the best places to visit when you’re there. There are a few great little restaurants open all year round, serving traditional Montenegrin dishes as well as the obligatory fast food options. Towards the end of the summer, the night-time temperatures drop, and many restaurants light a crackling log-fire; a perfect way to spend the evening after a long day exploring the national park. Restaurants and nightlife are pretty much one and the same here; when the kitchen closes, the bar stays open. Drinks are cheap, particularly if you opt for a local beer like nikšićki, brewed just an hour down the road at the Trebjesa brewery.